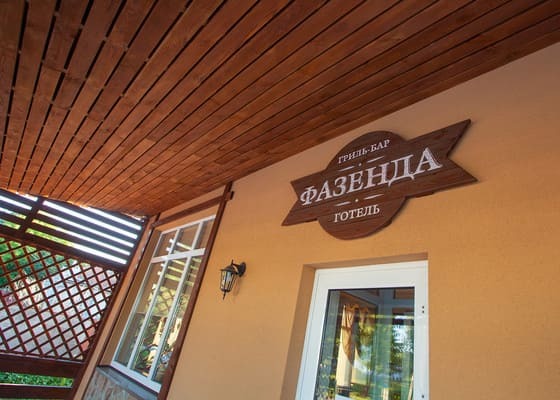 Hotel "Fazenda" is located in the private sector of Sumy near the city infrastructure. 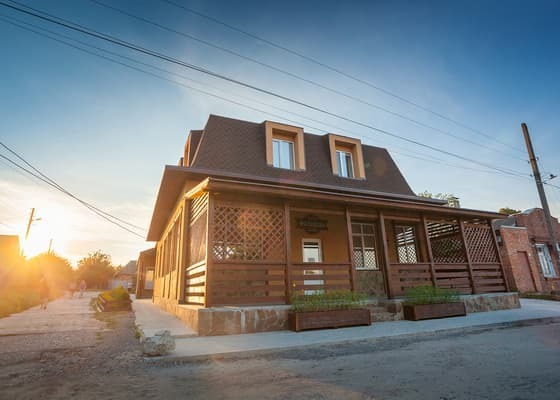 The hotel provides a two-storey building with 6 rooms. 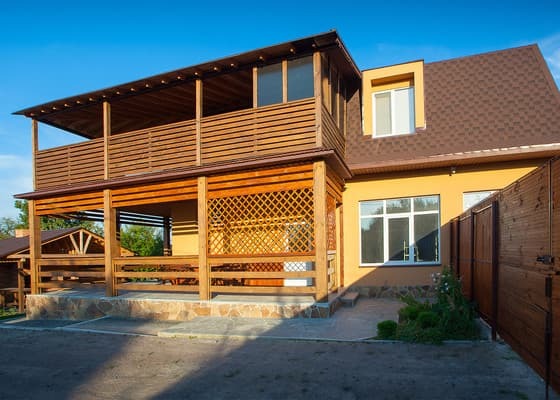 On the ground floor there is a cozy bar with a summer area, on the second floor there are rooms equipped with all accessories for comfortable living: comfortable furniture, cable TV, free Wi-Fi, private bathroom. On the territory of the hotel "Fazenda" there is a brazier, a gazebo, a guarded parking lot with video surveillance. The hotel has a closed restaurant for hotel guests. On request, a free shuttle service is available from anywhere in Sumy to the hotel. The distance from the railway station is 8.2 km, the bus station is 7.4 km, the city center is 4.7 km. 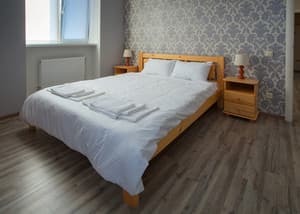 Description of the room: One room is equipped with a double bed with orthopedic mattress. WARNING: Smoking in the room is a penalty of 50% of the room rate. Description of the room: Spacious two-room suite, equipped with a double bed with orthopedic mattress and sofa. WARNING: Smoking in the room is a penalty of 50% of the room rate. 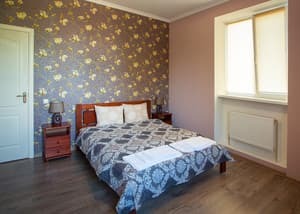 Description of the room: Two rooms with designer décor, equipped with a double bed with orthopedic mattress and double sofa. WARNING: Smoking in the room is a penalty of 50% of the room rate. The hotel has a closed restaurant for hotel guests. 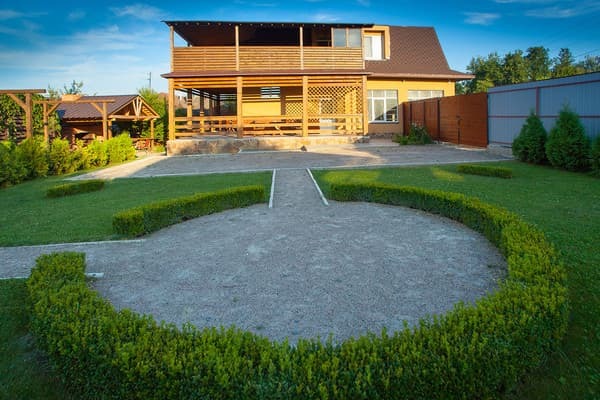 Hotel "Fazenda" is located in the private sector of Sumy near the city infrastructure. From the railway station, it is possible to get by bus number 59. On request, a free shuttle service is available from anywhere in Sumy to the hotel.